In rescue centres up and down the country, there are thousands of fabulous dogs looking for new homes. Despite what many people might think, there are many reasons why a dog may end up in a shelter through no fault of his own, and these include relationship break-ups, family or domestic changes, economic hardship, or owners who have simply bought a puppy on a whim and tire of him just as quickly. Puppies are hard work — seriously hard work. They need toilet training, socialising, ongoing education, and constant supervision to turn them into the dog of your dreams. Many people have this wonderful image of owning a dog, but don’t have the time or commitment to be able to take on the almost incessant demands of a puppy. With a rescue dog, what you see is what you get — and you can find a dog who already has the skills, training, and personality to fit into your life. You will already know if he likes other dogs, children, or can live with cats, or if he is toilet trained or can be left alone — because someone else has already done that hard work. A good rescue organisation will have skilled training and behaviour staff who have assessed the dogs in their care, know them well, and will match them to an owner who can provide them with what they need. They want to find the perfect home for their dogs as much as you want to find your ideal canine companion. It’s not just cross-breeds and mongrels who find themselves in rescue either. Many pedigree dogs are also looking for new homes, so if you have your heart set on a specific breed, don’t think you can’t find them in the kennels of your local welfare organisation. In addition, each breed has its own breed rescue organisation (details can be found via the Kennel Club) and so there are other ways to find individual breeds needing a new home. By rescuing, not only are you giving a dog a much-needed second chance, but you know for sure that you are not contributing to the illegal puppy trade or supporting puppy farms. And, of course, you know that you are changing that dog’s life forever by giving him the loving home every dog deserves. Is rescuing a dog the right thing for you? Having said all of that, rescuing a dog isn’t for everyone. Many people love the joys of a puppy, and part of ownership for them is putting all that hard work and effort into this new canine life. They want to know a dog’s history and be able to shape their future as best they can, and they take that huge responsibility in their stride. If that is you, first be aware that plenty of puppies can find themselves in rescue, but if you really want a puppy from a breeder, that is fi ne and don’t feel guilty about it. However, make sure that you find a responsible one who health tests, rears in the home, and that you see the puppy (several times) at home with their mother. Don’t inadvertently fuel the puppy farm trade. While many dogs are in rescue through no fault of their own, others are there because they do have behaviour issues. A good rescue will have assessed these and will give you the advice you need. While this might be fine in theory, when you get your new dog home, you might find that you are unable or unwilling to help him get over the issues from his past. If you live in a city, the breeds and types you may find in rescue can be more limited and you may have to travel further afield to find a dog who suits your needs. Finding a good rescue centre can be tricky. While there are some fantastic rescue organisations up and down the country, there are also some that, while very well-intentioned, are not so good due to either lack of resources, lack of knowledge, or lack of experience. 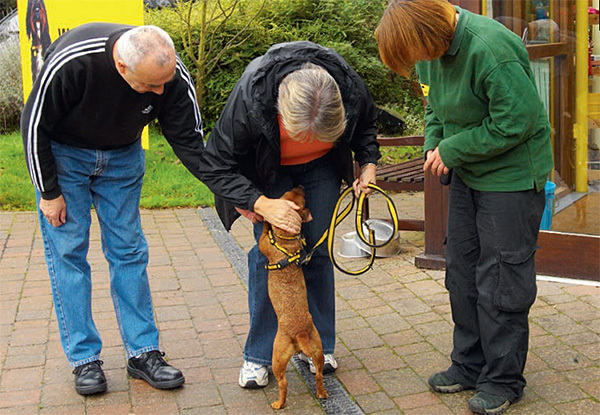 A good starting point is to go to an organisation that is a member of the Association of Dogs and Cats Homes (ADCH). Each rescue centre has to adhere to a very strict code of practice which can be found on its website (www.adch.org.uk) and so you know that it will be working to a very high standard of welfare. Are they a member of the Association of Dogs and Cats Homes? : One of the most reliable ways to check the credibility of a rescue centre is to find out whether it is a member of the ADCH. This means they will have access to a wealth of advice about best practice in animal welfare, and will either meet or be working towards the ADCH Code of Practice. Expect to be asked about your circumstances: Be prepared for any good animal rescue centre to ask some questions about your lifestyle and circumstances. This will help the centre to understand your needs and match an appropriate pet to you. Neutering/spaying: Many rescue centres will make sure that all dogs and cats in their care have been neutered or spayed before they are available for rehoming. There are several benefits, including preventing unwanted litters. Some rescue centres will include this in the rehoming fee. Microchipping: Microchipping is now legally mandatory under UK law for dogs (and highly recommended for cats). Check that the rescue has microchipped your new pet (it must before transferring the animal to you) and how to ensure the chip is kept up-to-date with your own details. History: A reputable rescue centre should be able to provide you with a full veterinary history of your new pet for the time he has been in its care, as well as vaccination records. In addition, it should be open and transparent about any behavioural issues the animal has had in its care so you know what to expect. Support: A reputable rescue should be willing to keep in touch with you after you have rehomed your new pet, to offer any behavioural support or advice you may need.